Since Samsung is one of the biggest players in the worldwide smartphone market, Samsung Tablets are also famed among android tablets lovers. They launched their first Android tablet back in 2010 and still providing best performing Samsung Galaxy tablets with latest features and designs. Getting the best Android tablet can be a little bit tricky task, especially for a fresher due to the availability of different brands and manufacturer. 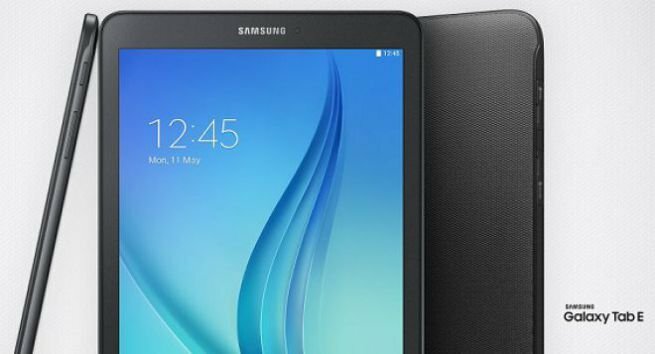 That is the reason; we have listed some best Samsung tablets in this article to help you choose a well performing, affordable and reliable Android tablet. Have a look at these top rated and affordable tablets that fit your needs and budget as well. 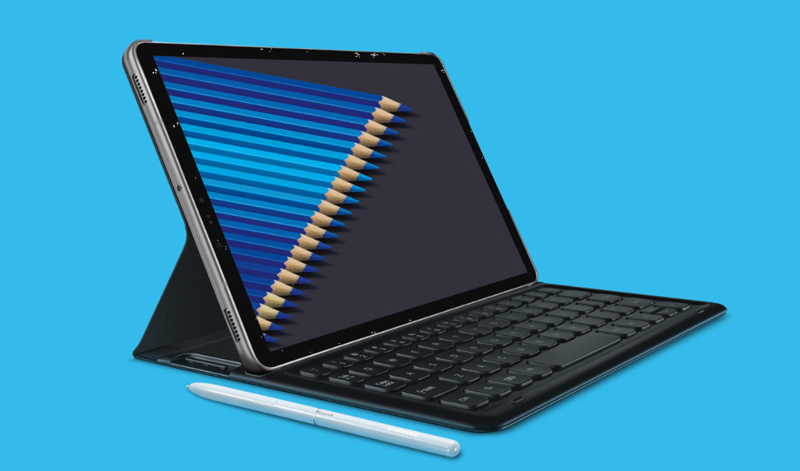 No matter you are flying for a business tour, walking with a huge backpack or doing work in the office, Samsung Galaxy Tab A 10.1 is designed to provide you amazing tablet experience. It is operational with Android Marshmallow with 2GB of faster RAM and an Octa-core 1.6Ghz processor to provide you the higher speed you want to execute your personal or business-related computing tasks on the go. It allows you to store a lot of files, apps and other media files with 16 GB of internal storage. Almost 13-hours of battery life are also an ideal feature to add this Samsung tab in your shopping cart. Its 10.1” screen displays excellent imagery and video streaming experience. By using this Samsung tab, you can make the most out of your tablet time with latest multitasking tools installed in it. It is functional with Android 7.1 (Nougat) OS that offers you both productivity and entertainment at your fingertips. It allows you to download and install apps, games, and eBooks etc from Google Play store by using your Google account. Its 8.0″ screen with 1280 x 800 resolution provides you a clearer and bright resolution for watching movies and surfing web. 2 GB RAM offers you high processing speed and 32GB internal storage lets you to store huge data and files easily. Dual high-quality cameras (8MP rear camera and 5MP front camera) of Galaxy Tab A 8.0 allows you to take photos and to make video calls easily to communicate more effectively than ever. Samsung Galaxy Tab E 9.6 is one of the best Android tablets and made to take wherever you go and do what you want. Office related tasks, internet surfing, video chat and watching movies are things that can be done with this good-looking tab. It is designed with Android 5.1 OS that allows users to download and install apps and games they really want to use/play. 16 GBs internal storage can be used to download more apps, games, movies, images and other media files for easy later access. Its 9.6″ bright touchscreen has 1280 x 800-pixel resolution to provide you amazing movie and imagery experience. Its strong cameras are equipped with advanced panorama & continuous shot modes to make photography easier than ever for you. Best thing about this Samsung tab is that its battery allows you to enjoy tablet experience up to 20 hours. 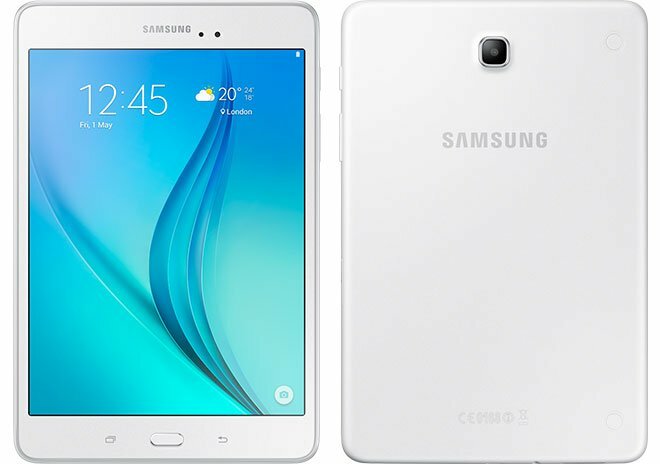 Since specifications of Samsung Galaxy Tab E Lite are minimal, it is considered as the best tablet for kids to help them in doing homework or allowing them to play their favorite games. It is made with a 1.3GHz quad-core strong processor, 1 GB of RAM and 8 GB of internal storage which is enough for kids to have a seamless gaming experience. 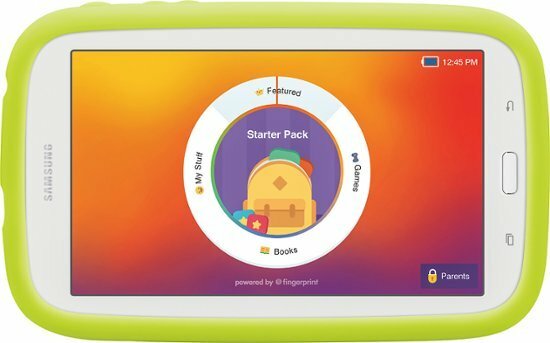 Sidewise its kid-friendly software Samsung Galaxy Tab E Lite comes with a durable, non-toxic strong case that protects it from damages due to the inevitable drops. Its strong battery of 3600mAh keeps it running all the day with one time full charging. There is nothing better than Galaxy Tab E Lite if you really want to keep your kids busy at home without spending lots of bucks. Samsung knows very well that what they need to make a good Android tablet in order to provide their users with great experience. Galaxy Tab S4 is one of the much loved Samsung tablets till now and it is designed with an HDR-ready Super AMOLED display. Inside this good-looking and best-performing tab, there is a Snapdragon 835 chipset with 4GB of RAM to provide users with a superior performance. It also has S pen if you don’t want to touch it anymore while doing different things. It can be a great choice for a stunning contrast and clarity for favorite movies, videos, games and many more.